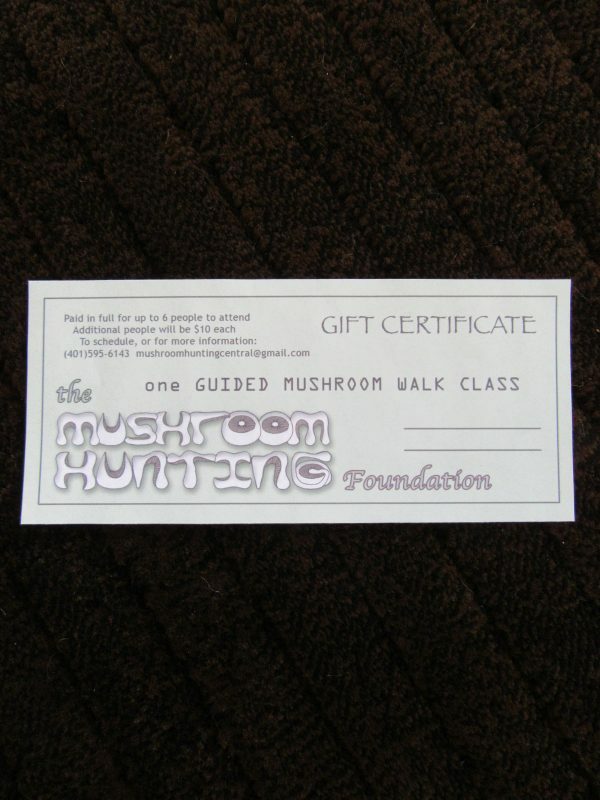 A two-hour outdoor mushroom hunting class… very fun and highly informative! The person who gets this gift certificate will contact us to schedule their own class. Sometimes the person wants us to teach them in a certain location; otherwise, we can recommend somewhere near them. We can teach this class to an individual student, but the certificate does cover up to 6 people…and if there are more than six in the group, the extra people can join for just $10 each on the day of the class. See under the CLASSES tab for more information. An extra-special gift!